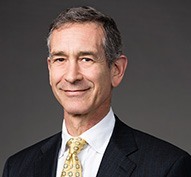 David M. Wilf is a partner in the New York office of Gibson, Dunn & Crutcher. Mr. Wilf’s practice focuses on mergers and acquisitions, joint ventures, strategic alliances and general corporate matters. He is Co-Chair of Gibson Dunn’s Fashion, Retail and Consumer Products Practice Group and of the Aerospace Group. Mr. Wilf has worked on both coasts of the United States, in London and in Tokyo, has represented United States entities in Europe, Asia, Latin America and Africa in acquisitions, divestitures and joint ventures and non-U.S. entities in similar types of domestic and international transactions, in addition to his general domestic U.S. practice. Mr. Wilf has extensive experience in technology, satellite, consumer products and bankruptcy acquisitions. He also works in the area of private equity and has represented several secondary funds in their investment activities. Mr. Wilf is recognized as a leading M&A attorney by the International Financial Law Review. Mr. Wilf received his Juris Doctor in 1982 from University of California Hastings College of the Law and his undergraduate degree in 1979 from the University of Pennsylvania, where he graduated with honors. Mr. Wilf is admitted to the bar in both California and New York. SES S.A.: Multiple investments in and the ultimate acquisition of O3b Networks, a satellite constellation providing a global Internet backbone for emerging markets for over US$700 million, acquisition of New Skies Satellites for US$1.2 billion, tax-free disposition to GE of various satellites, interests in satellite JVs and services businesses for US$1.3 billion, acquisition of RR Media, an Israeli publicly traded satellite services company and many other matters around the world. GE: Representation of GECC in its satellite transactions, including the disposition of its joint venture interest in AsiaSat to Carlyle. Brown-Forman Corporation: Acquisition of The BenRiach Distillery Company, which produces the GlenDronach, BenRiach and Glenglassaugh single malt scotch whisky brands for about US$400 million and the disposition of Southern Comfort for about US$500 million, in addition to a number of other matters. Coty Inc.: Acquisition of Philosophy, a skincare and cosmetics company, from The Carlyle Group and the acquisition of OPI Products, a manufacturer and marketer of nail care products, each for about US$1 billion. Representation of Coty in connection with investment in Coty by two private equity firms and in its IPO, the largest ever for a consumer products company. Acquisitions, joint ventures, restructurings and other matters for Coty in the United States, Southeast Asia, Latin America and Europe. Borse Dubai: Acquisition of a 28% stake in the London Stock Exchange for US$1.7 billion, US$5.2 billion hostile tender for OMX and swap of the shares of OMX for a 28% direct and indirect interest in NASDAQ, together with license of NASDAQ name and technology to and investment by NASDAQ in Borse Dubai, among other transactions. PanAmSat: Most of its major acquisitions, financings and joint ventures around the world, including its US$3.5 billion merger with Hughes and US$5 billion sale to KKR, as well as securities filings, financings, key litigation matters and general corporate matters. Colgate Palmolive: Large number of brand acquisitions, divestitures, joint ventures, licensing transactions, research and development and other transactions and corporate matters over the past 20 years, both domestically and internationally, in Europe, Africa, Asia, the United States and Latin America. Wiley & Sons: Several acquisitions in new technology for this publisher in the US$100 million to US$300 million range. InterMedia: Both general corporate and deal representation of InterMedia, including its acquisition from Lin of its Puerto Rican TV stations, sale of certain of those stations to Caribevision and purchase from Primedia of certain outdoor titles and related assets. Charter: Major settlement and US$1 billion in cable divestures. TBC: Representation of TBC special committee in its US$1.3 billion sale to Sumitomo. PricewaterhouseCoopers US: Disposition of its technology consulting business to IBM for US$3 billion (including representation in previous planned disposition through an IPO), its business restructuring group to FTI for about US$200 million and other matters. Silver Lake Partners: Major investment in WorldCom, including co-investment and shareholder arrangements with MatlinPatterson. Southern Cross: Representation in numerous investments and dispositions in Latin America ranging from consumer products to telecommunications industries. Unisys: Represented Unisys in the merger of the former Burroughs wholly owned Japanese subsidiary with the former Sperry TSE first section publicly traded joint venture with Mitsui, Nippon Univac KK, forming Nihon Unisys. Japanese companies: Represented many Japanese companies, such as Fujitsu, Ricoh and others in investments into the U.S. and Europe, including Fujitsu’s purchase of ICL, and U.S. companies in joint ventures and inbound investments into Japan. Moore Business Forms: Represented Moore Business Forms in the buyout of its investment in its publicly traded joint venture with Toppan Insastsu in Japan, Toppan-Moore, for which Moore received over US$400 million in two separate transactions. Kodak: Represented Kodak in the purchase of its 90-year distributorship in Japan from Nagase Sangyo for US$550 million.